for all your music events! country club events and celebrations galore! 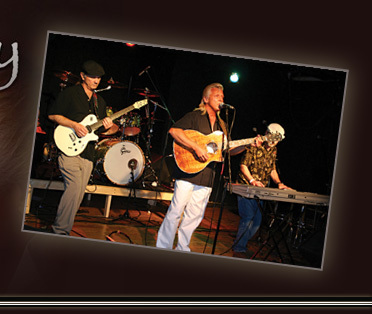 Songs by Jimmy Buffet John Denver Frank Sinatra Elvis The Eagles..
Let's celebrate the success of Jerry's original songs! "Day of Eternity" (Utley) charted #2 on the POWERSOURCE Inspirational Country TOP 100---a love song like no other!!! mp3 on its way. Jerry's "Wings of Peace" (McWilliams) recently charted at #5 on the Southern Gospel TOP 100 for February 2009, a powerful piece that will stay with you long after the listening! ***You may purchase the mp3 on Amazon and Itunes. Enjoy! "Singer on the Stage" (Utley/Hardy) hit the Inspirational Country charted#13 . It's a lovely song about Jerry's first guitar given to him by his mama when he was 5. Take a look above at Jerry, Mark Miceli, and Michael Roy, all of Louisville, KY. playing and performing "The Miracle" at BB Kings in Nashville during Fanfare . "The Miracle", orchestrated by Michael Roy, by Jerry also charted at #2 on the PowerSource ICMA TOP 100! You may purchase "The Miracle" mp3 on Amazon and Itunes. You will love it! Photos of Jerry's performance at the Grand Ole Opry/Acuff Theater, , BB King's in downtown Nashville at Fanfest, signing autographs for fans. 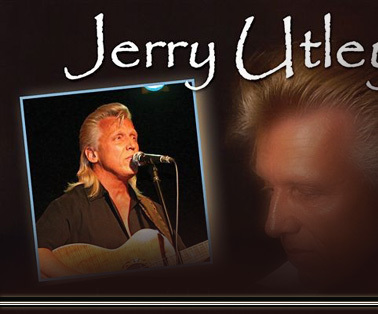 Check out the video cuts at the bottom of this page of Jerry's performance at the Oldham County Arts Center in Crestwood, KY. This Romancin' the Country event was a lovely showcase with roses, chocolates and fantastic music for a Valentine's Day event. Buddy Jewell looks on as Jerry Utley presents the Female Vocalist of the Year 2008 Award to Sonia Isaacs, a most talented and dynamic artist. Jerry has enjoyed performing original songs like Day of Eternity and Singer on the Stage for his fans at BB Kings on 2nd street ! call to find out Jerry's public venues!